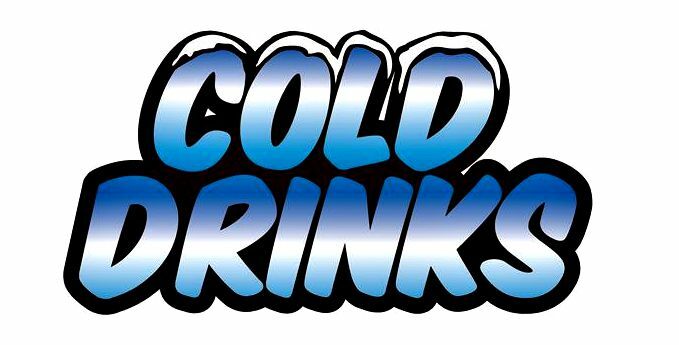 THURSDAY, AUG. 13TH, 6-9 p.m.
Come on down to meet the man himself - it has been a few years since Jose "Pepin" has been out to our area so make plans to be here as we don't know how long it may be until the next visit! 20% off on box purchases (20-count or more) along with some great giveaway and raffle items! This should be a great event so come on down and partake in the festivities!!! 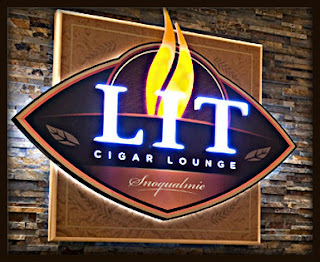 Lit Lounge - Summer Events are Heating Up! Join us this Friday, July 31 in Lit from 6-8pm as we feature cigars from Drew Estate and cognac from Hennessy! 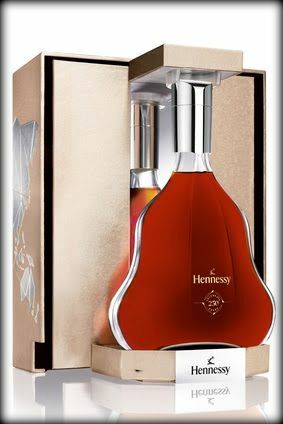 We have one bottle of the extremely limited Hennessy H250 Collector Blend, created to celebrate the 250th Anniversary of Hennessy Cognac. Only 250 casks were produced, and rather than let one high roller drink it all up, we decided to include it in a flight so that everyone can have a chance to taste it! For only $35 enjoy a flight of Hennessy VS, VSOP and H250, or choose from our special menu of Hennessy cocktail specials. Our good friend Smitt from Moet Hennessy will be on hand to tell us all about the H250, but in the meantime, you can read more about it here. 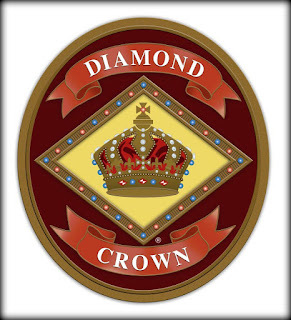 We'll also be joined by Matt from Drew Estate, who will have some great deals on our entire selection of Drew Estate cigars, including Nica Rustica, Joya de Nicaragua, Kentucky Fire Cured and Acid. We're also excited to announce that we are going to begin carrying the exclusive Liga Privada #9 and Herrera Esteli lines from Drew Estate in the coming weeks! Terra Vista will be holding a special wine tasting event, Wine With A View, each Thursday in August on the Terra Vista deck from 4-6pm. I'm discovering that Tacoma is the place to be for cigar smokers. 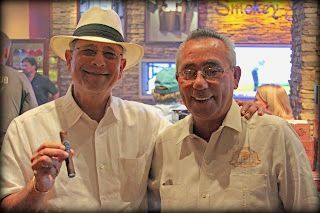 My friend and fellow blogger "Sir Godfather" added this event to the Cigar Habanero Newsletter. Check it out! We're stocking up on delicious Brick House cigars for you, but for those of you who prefer something a little milder, all Diamond Crown cigars (including Julius Caesar) will be on sale as well! - 5% off 1-4 JC Newman Cigars! 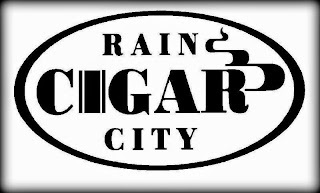 - 10% off 5-19 JC Newman Cigars!! 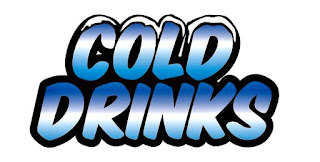 - 15% off (full or mixed) boxes of 20 or more!!! 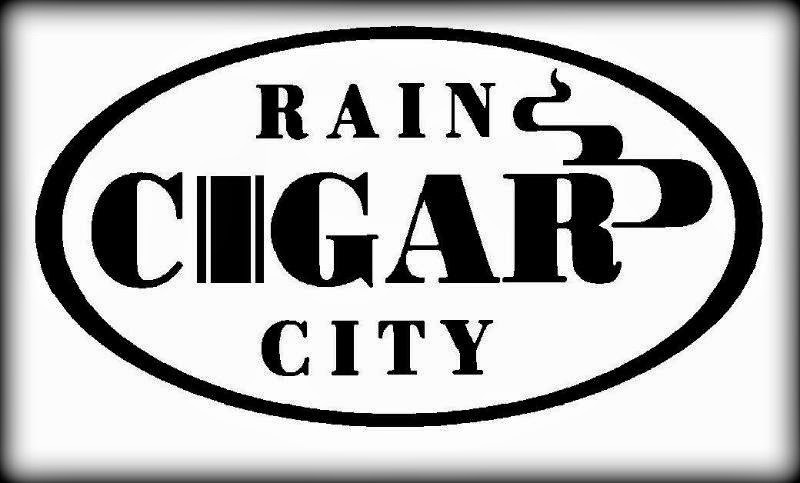 We will have the "25 Foot Cigar Lounge" up and running so that you can enjoy your cigars in comfort come rain or shine (who are we kidding, it's going to SHINE). Can't make it Friday? No worries, we'll continue the specials on Saturday, while supplies last. Macallan & Miami Cigar Co. event this Thursday! Macallan & Miami Cigar Event This Thursday! On Thursday, July 16th we'll be joined by brand ambassador Jason Moore from The Macallan as we feature a one-of-a-kind deal on a flight of their world-famous single malt whisky. 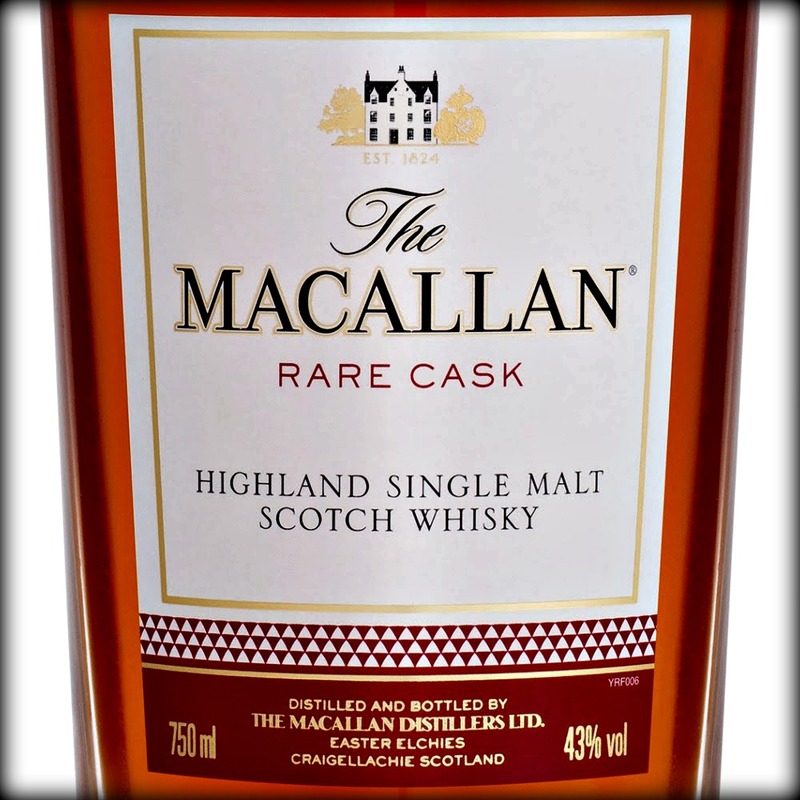 We've just received the brand new Macallan Rare Cask, one of the most elegant and rich single malts we've ever carried. On this night, enjoy a flight of 12 year, 15 year and Rare Cask for only $25. 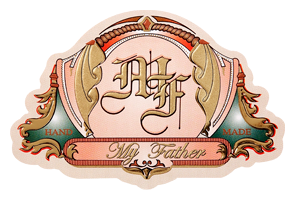 We'll also have some great cigar specials from Miami Cigar Co. on both the Nestor Miranda Collection from Nicaragua and La Aurora from the Dominican Republic. We'll see you on Thursday for another great night of cigars and whisky! Join us each and every Tuesday evening in Lit as we bring back Cigar Wars, our blind tasting competition to determine the best cigar in the Lit humidor! Come in anytime after 5pm on Tuesdays and receive an unbanded cigar along with a featured spirit or cocktail for only $10! Once you smoke and rate your cigar, you will learn its identity and be eligible for a Buy 3 Get 1 Free offer on that cigar. You can come each and every Tuesday and rate a different cigar, challenge your palate and preconceptions on certain cigars while helping us pick a new Cigar Wars champion! Here's a look at what's new to try the next time you're in! 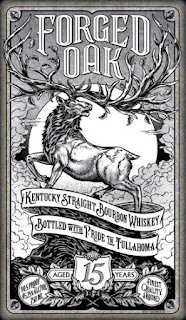 - Orphan Barrel Forged Oak 15 year bourbon - Diageo has released a limited amount of the whiskey they discovered in the old Stitzel-Weller warehouses in Louisville, KY as Forged Oak. It's a 15 year old bourbon with a hearty, wood forward profile with notes of vanilla and pepper mixed in as well. 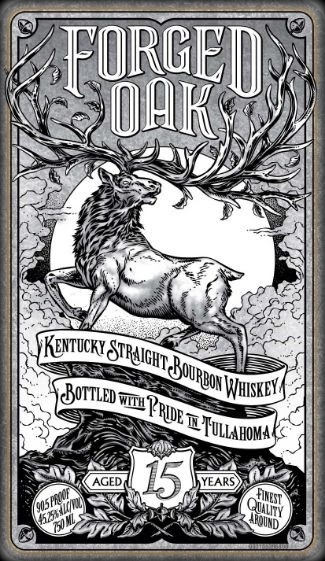 If you enjoyed the previous Orphan Barrel releases, Barterhouse 20 year old and Old Blowhard 26 year old, try some while we have it in stock! - La Aurora Puro Vintage 2006 - The Dominican Republic's oldest cigar factory is celebrating their 111th Anniversary this year with this limited (1500 boxes) edition Salomon shaped cigar. All of the tobacco in the medium to full-bodied Puro Vintage 2006 has been aged over 9 years for the ultimate in complexity and balance. - Alec Bradley Sanctum - The newest release from Alec Bradley invites smokers to take a break and seek out their inner sanctum. Sanctum is wrapped in a silky Honduran Corojo wrapper and has a rich and aromatic profile thanks to the addition of Colombian and Costa Rican tobacco. For a limited time, we'll be offering a special Alec Bradley Fresh Pack 4 Cigar Sampler for only $20 to those who try the new Alec Bradley Sanctum! - We've been able to get small quantities of two previously sold out limited edition cigars, the Cohiba Luxury Selection LS1 and the EP Carrillo 5th Anniversary cigar. Both of these were released to great fanfare last year and sold out quickly, and we've managed to get a few boxes of each! For more information on these and other exciting new releases, along with classic selections, see your Lit tobacconist on your next visit! Stopped by The Cave Craft Beer and Smoke Shop up on Rose Hill yesterday. I've driven by this place a bunch of times but never had the opportunity to go inside and actually check it out. Well, yesterday I just happened to be out of cigars. I know what you're saying: "How could you possibly be out of cigars? You of all people?" Well, my pals over at UPS decided that my company was not worthy to receive deliveries on Friday the day before the 4th of July. Really? My office is a block away from their terminal! DELIVERY HAS BEEN RESCHEDULED DUE TO HOLIDAY CLOSURES. Anyway, I was totally out of cigar come Sunday. The Cave up on Rose Hill used to be an old 7-11 before they totally transformed it into what it is now. BIG transformation too! It's actually quite an inviting shop! Very comfortable atmosphere, open and friendly, and just about every beer you can think of. If they don't have the beer you're looking for, you're not from planet earth. They have everything! But technically all I cared about on Sunday was their cigar selection. I could have gone to the Tobacco Patch, but I really wanted to see the inside of this store. The cigar selection isn't the biggest in town, but what they do have on display are some of the finest cigars around. Excellent choices. I was impressed. Prices are not bad as well. Honestly, if they had a place to smoke cigars here, this would definitely be my new hangout! It's very nice! So what did I think about the cigar that I picked out - it's a beauty! When I lit up the cigar the first thing that came to my mind was: "this taste just like an AJ Fernandez New World" - one of my favorite! The New World is a bit less expensive and it has a more defined box press shape, but in the taste department it is very similar to La Historia. I know, I know, you're probably thinking that it's not even close, but in my opinion it is! Bottom line: it's an EXCELLENT cigar! Would I buy one of these over a New World? Depends... I really liked this cigar, but sometimes the price dictates my choices in the end. If money is not a factor in the equation, I'd take La Historia. Probably the warmest summer on record so far - temps in the 90's every day. I don't think I remember it ever being this nice or hot in June before. I mean 90 degrees in June has got to be a typo? June is always cold and wet here. I'm not complaining - I love it! And it looks like the heatwave is going to continue. This was the hottest 4th of July on record as well! 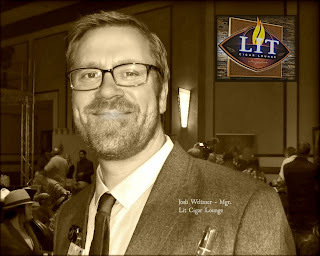 The Return of Cigar Wars every Tuesday at Lit! 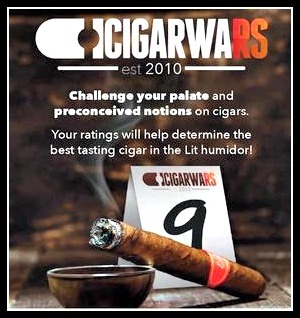 Join us every Tuesday evening beginning July 7th in Lit as we bring back Cigar Wars, our blind tasting competition to determine the best cigar in the Lit humidor! Come in anytime after 5pm on Tuesdays and receive an unbanded cigar along with a featured spirit or cocktail for only $10! Once you smoke and rate your cigar, you will learn its identity and be eligible for a Buy 3 Get 1 Free offer on that cigar. You can come each and every Tuesday and rate a different cigar, challenge your palate and preconceptions on certain cigars, while helping us pick a new Cigar Wars champion! 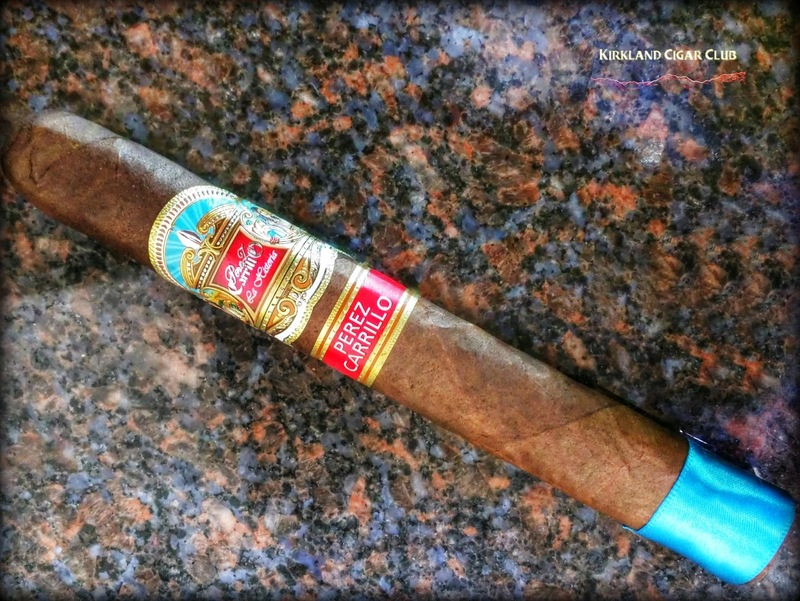 Several years ago, you rated the Don Pepin Garcia Cuban Classic as the best, and that cigar will once again be competing against many others. Tell your friends and come out and take part every Tuesday! On Thursday, July 16th we'll be joined by brand ambassador Jason Moore from The Macallan as we feature a one-of-a-kind deal on a flight of their world famous single malt whisky. 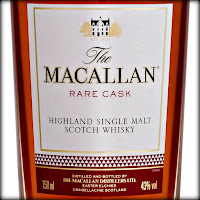 We've just received the brand new Macallan Rare Cask, one of the most elegant and rich single malts we've ever carried. On this night, enjoy a flight of 12 year, 15 year and Rare Cask for only $25. We'll also have some great cigar specials from Miami Cigar Co. on both the Nestor Miranda Collection from Nicaragua and La Aurora from the Dominican Republic. Mark your calendars for another great night of cigars and whisky! 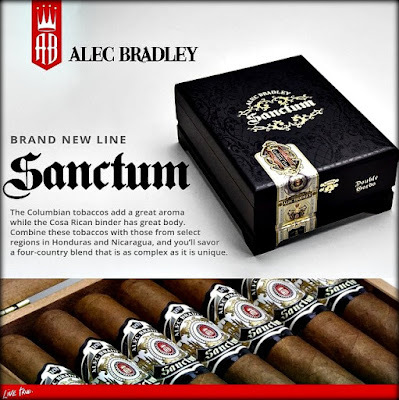 Alec Bradley just released a new blend, Sanctum, which has gotten lots of love from the online cigar community already. One reviewer, who is already a big fan of the brand went so far as to call it The Best Alec Bradley Cigar. Period. And the $7-$9 price point keeps them deliciously affordable! We've stocked up on the new Sanctum, as well as (most of) your favorite Alec Bradley blends, and we're ready to roll with the deals! Buy a full or mixed box of 20+ Get 15% off, plus 7 cigars! 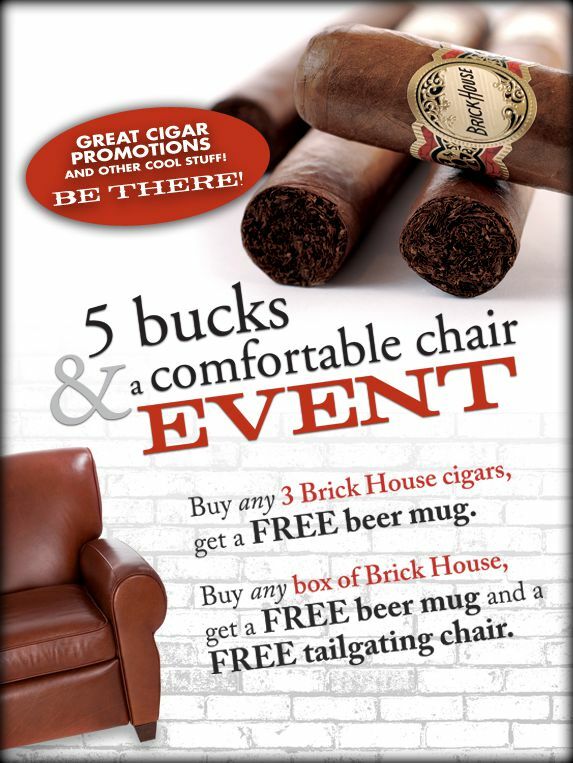 - 5% off 1-4 Alec Bradley Cigars! - 10% off 5-19 Alec Bradley Cigars!! Can't make it Friday? No worries, we'll continue the specials on Saturday while supplies last.